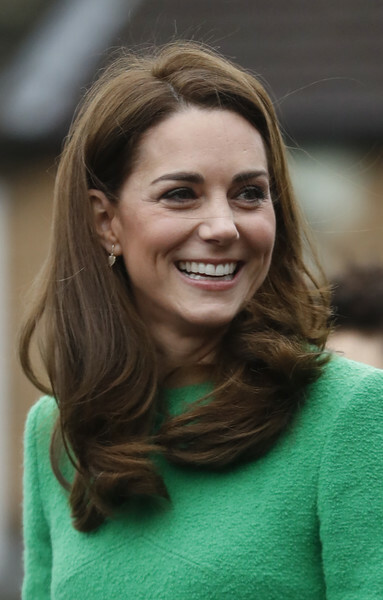 Catherine, Duchess of Cambridge arrives at Lavender Primary School in support of Place2Beâ€™s Childrenâ€™s Mental Health Week 2019 on February 05, 2019 in London, England. Place2Be, of which Her Royal Highness is Patron, is a leading UK children's mental health charity providing in-school support and expert training to improve the emotional wellbeing of pupils, families, teachers and school staff. Kate Middleton looked perfectly sweet with her bouncy waves while visiting Lavender Primary School.